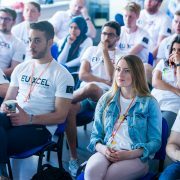 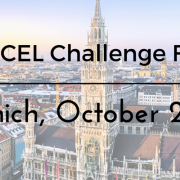 The EU-XCEL Challenge Final took place in Munich on October the 25th! 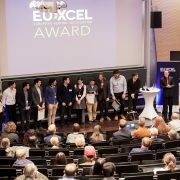 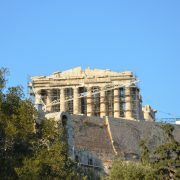 EU-XCEL kicked-off in January 2015 and is a European-funded project. 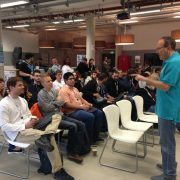 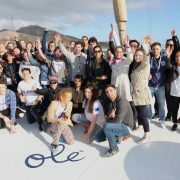 In this year’s Challenge Final, 68 young entrepreneurs in 14 teams were participating. 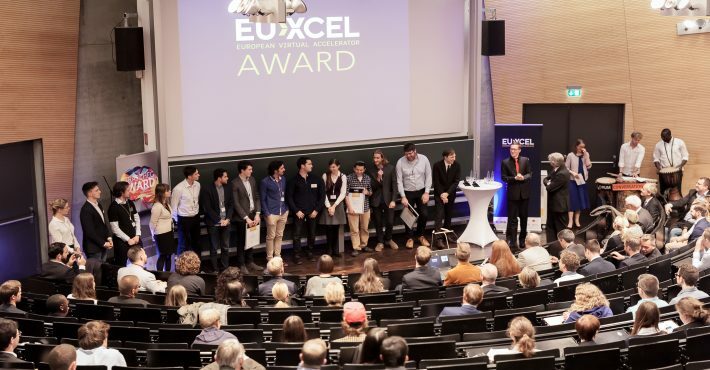 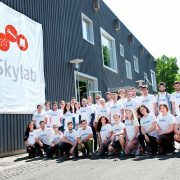 The Challenge Final took place in the central amphitheatre of the Munich University of Applied Sciences, in Germany and more than 200 people were in the audience. 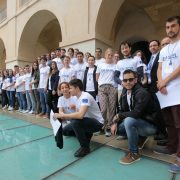 Important was the presence of Mr Falk K. Strascheg, entrepreneur and investor, who is the main funder of the Strascheg Center for Entrepreneurship, one of the biggest innovation centers in universities in Europe. 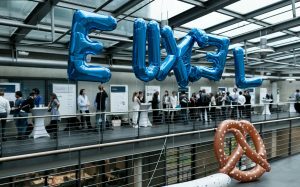 All 14 teams received complimentary comments from the judging committee, which was composed from investors and entrepreneurs from six different countries: Germany, Greece, Denmark, Ireland, Poland and Spain. 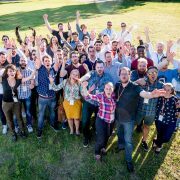 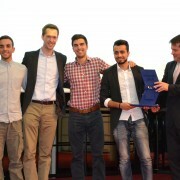 Team Mahoo which is trying to revolutionise the aftermarket car parts sector received the 1st prize with an award of 5000 euros, Drive Brands, a disruptive platform that connects brands with ordinary drivers in order to offer targeted and efficient advertising campaign on cars, received the 2nd place accompanied by 3000 euros and DOCYET, a personal AI-powered assistant that helps those travelling around the world to find and access medical treatment, the 3rd position and 2000 euros.